been a source of fascination for thousands of years. understand how quality diamonds are valued and priced — and help you decide what’s most important to you in a diamond. The easiest way to explain diamonds is using the four Cs: cut, color, clarity, and carat. cut, the more captivating the diamond is to the eye. colors are known as fancy – their color grading is unique. 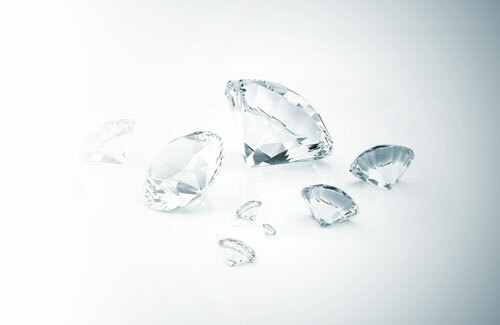 Diamonds can have internal characteristics known as inclusions or external characteristics known as blemishes. are rare; however, most characteristics can only be seen with magnification. into 100 points. Carat weight is the most objective of the 4 Cs. It involves no estimates, comparisons or judgments. worn to repel insects and evil spirits and to ward off the evil eye of others. made it the stone of preference for both commoners and kings 4,000 years ago. In the beryl family, the aquamarine is greenish blue in tones light to dark. It was the stone of sea goddesses of past times. Beads of aquamarine were found in ancient mummy tombs. They were used as tribute to the gods of the netherworld for safe passage. the perfected man whose divine spirit shines forth. the average Egyptian’s pocketbook, though. By tradition, alexandrite is June’s birthstone, but the stone is very scarce. at all, but comes from oysters. the coming of success in business, money matters, and love. drink soma from them. This put them in touch with Isis, the nature goddess. In the corundum family, the sapphire comes in all colors, with blue the most popular. virgins and ensure fidelity in marriage. received their intense, fiery color. the most popular. In the past, it was thought that the wearer of topaz had the magical ability to become invisible.